It may have been easier to keep up with the Kardashians before Kourtney, Kim, Khloe, Rob and Kylie started families of their own. Today, Kendall Jenner is the only sibling who is not a parent — making matriarch Kris Jenner the grandmother of nine kids, ages 8 to infant. More often than not, the Kardashian-Jenner clan chooses unique names for their babies — Kim Kardashian and Kanye West’s directionally named North, for example. But some members of the eccentric family boast more classic names like Penelope — the daughter of Kourtney Kardashian and Scott Disick. To help you navigate which Kardashian offspring belongs to which parent, we chatted with Nameberry’s Pamela Redmond Satran about the influences and meanings behind each child’s name. Penelope, often called “P” on the family’s television show, has the travel-themed middle name of Scotland, which Redmond Satran says may be a nod to father Scott Disick’s first name. According to Nameberry, the couple’s third child, Reign, goes along with the recent trend of royal-inspired names like Duke, Royal and King. While North’s name did not grow in popularity after her birth, her younger brother, Saint’s, name tripled in usage after he was born. Redmond Satran says True’s name could take off in popularity — in 2017 it was given to 32 baby girls and 60 little boys, but the numbers could change. “We’d expect the gender balance to shift given that the Kardashian baby True is a girl,” said Redmond Satran. 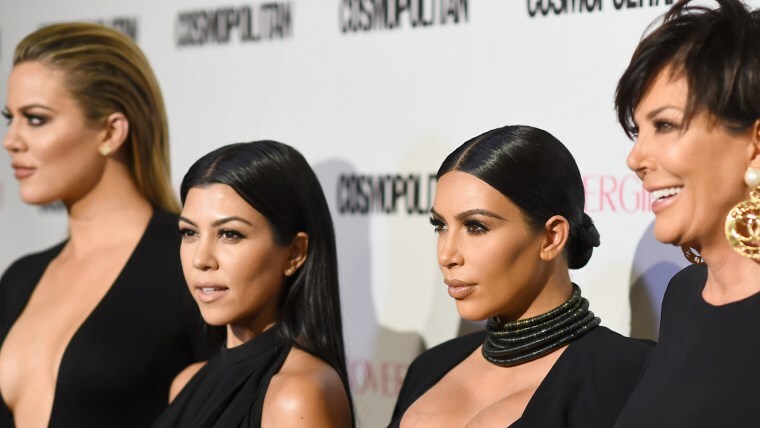 Redmond Satran says the middle names — or lack thereof — chosen by the Kardashians are also interesting to note.